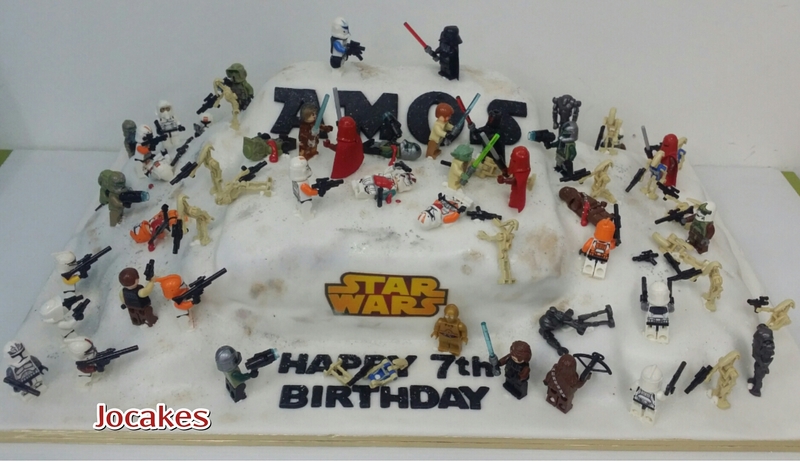 Star Wars battlefield theme for 7 year old Amos! 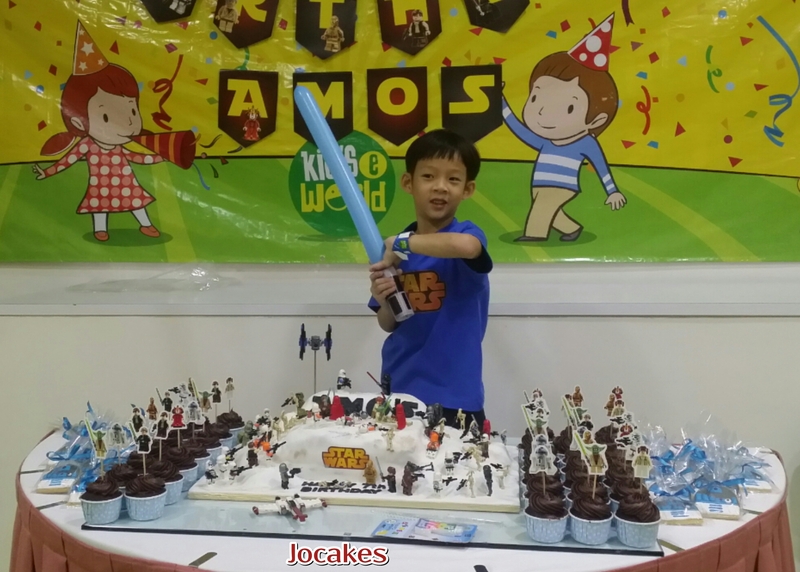 Mr.Samuel came back again for the 3rd year and this time is about battlefield. 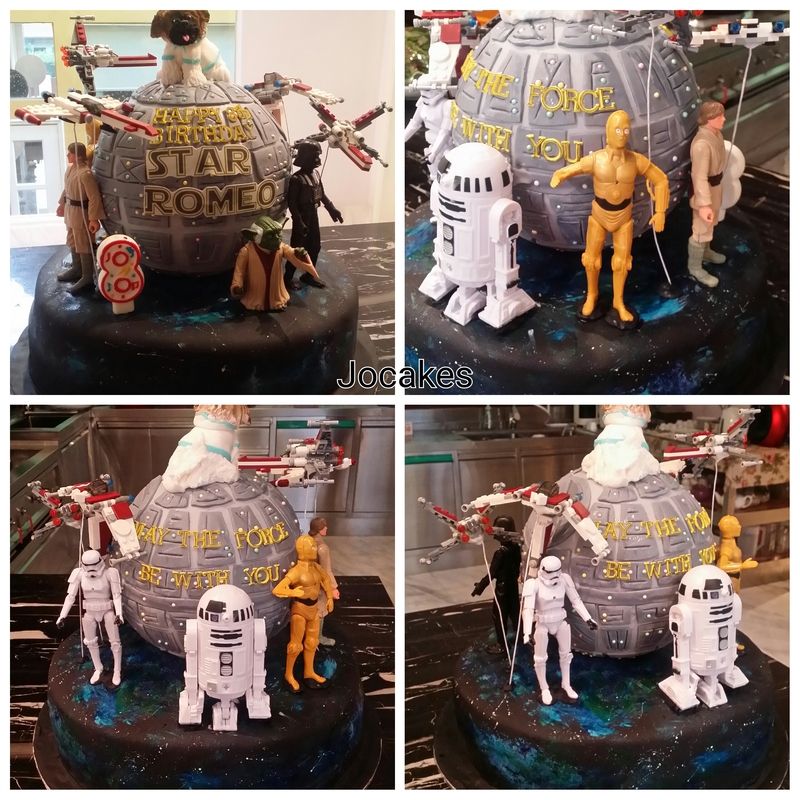 He wants all his son’s favourite miniature Star Wars toys to be placed on a battlefield cake. 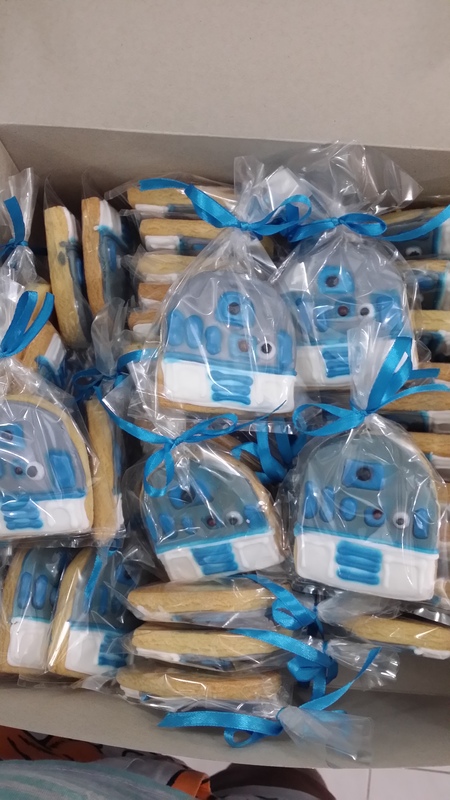 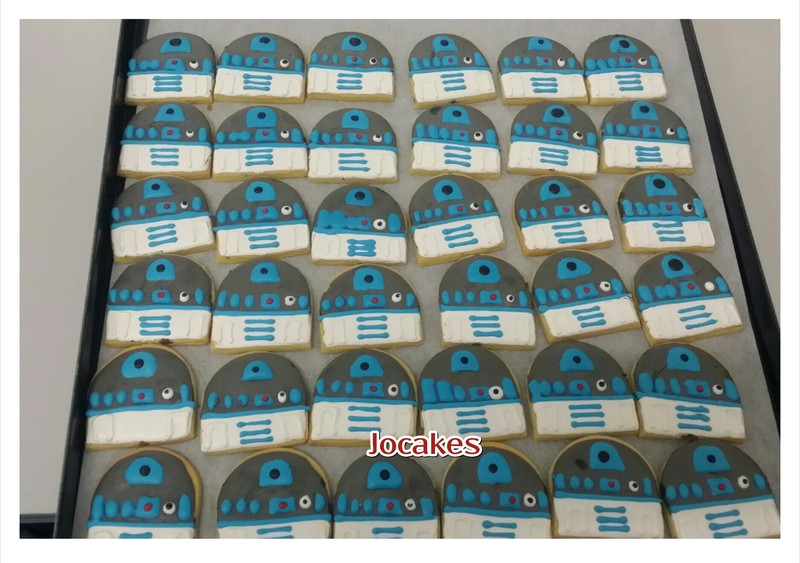 He also ordered cupcakes and of course same again as last year the R2D2 cookies. 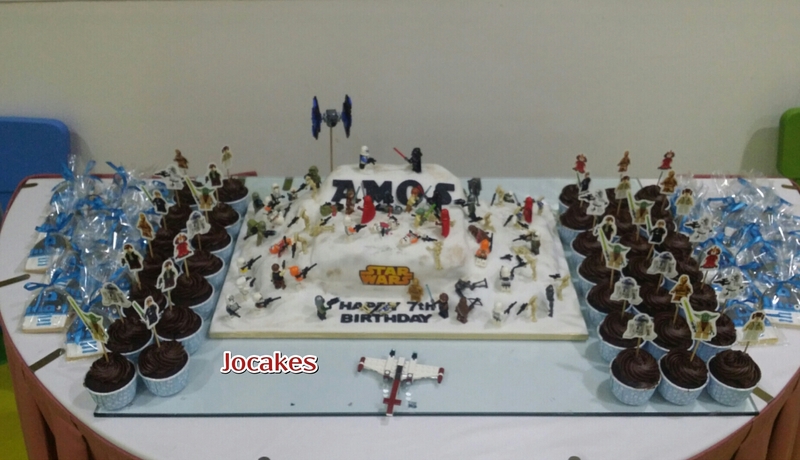 His son is very happy again on his birthday! 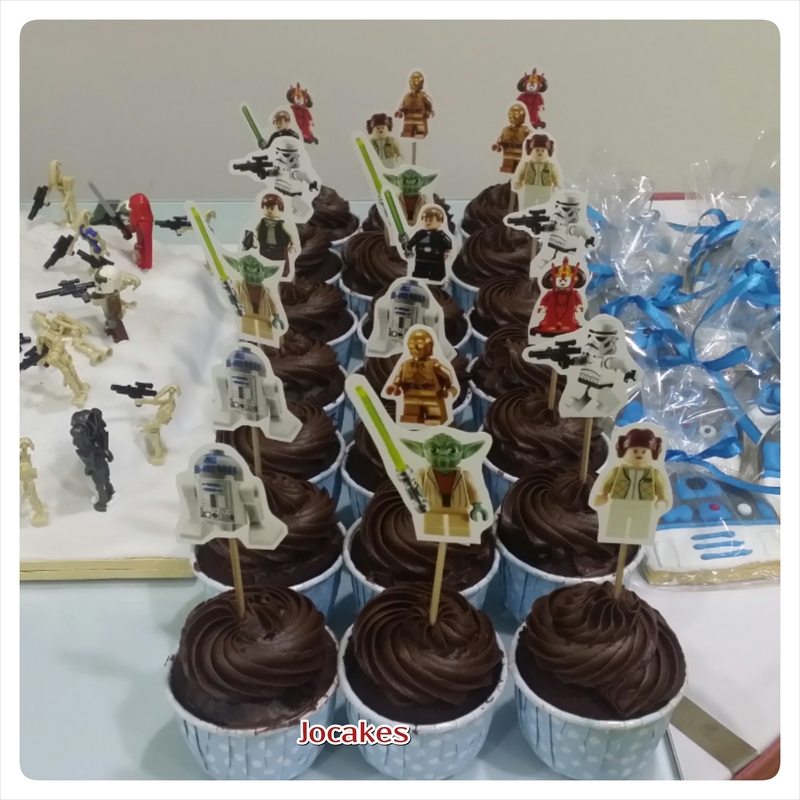 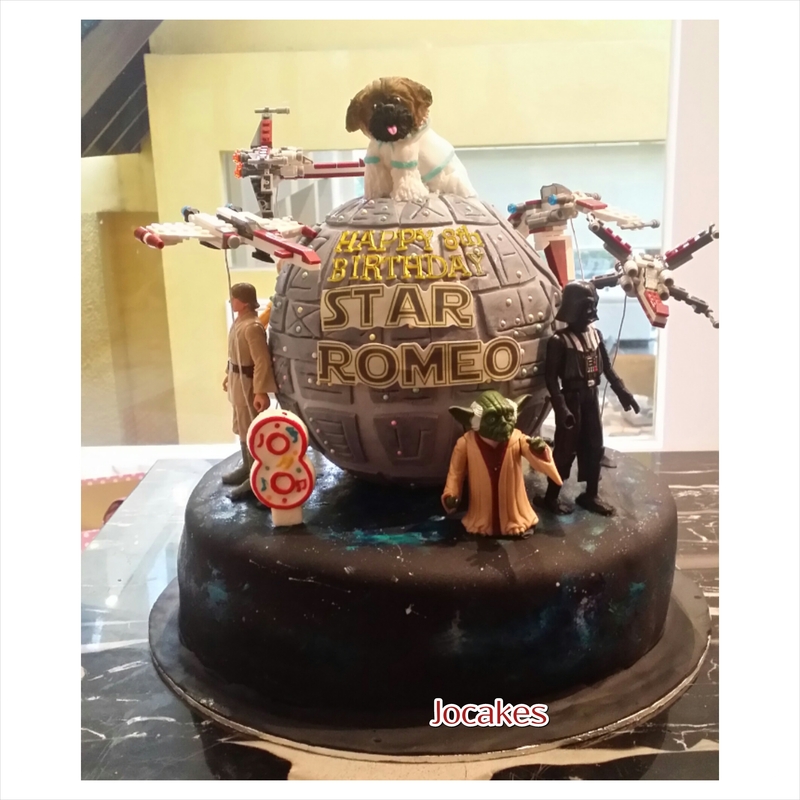 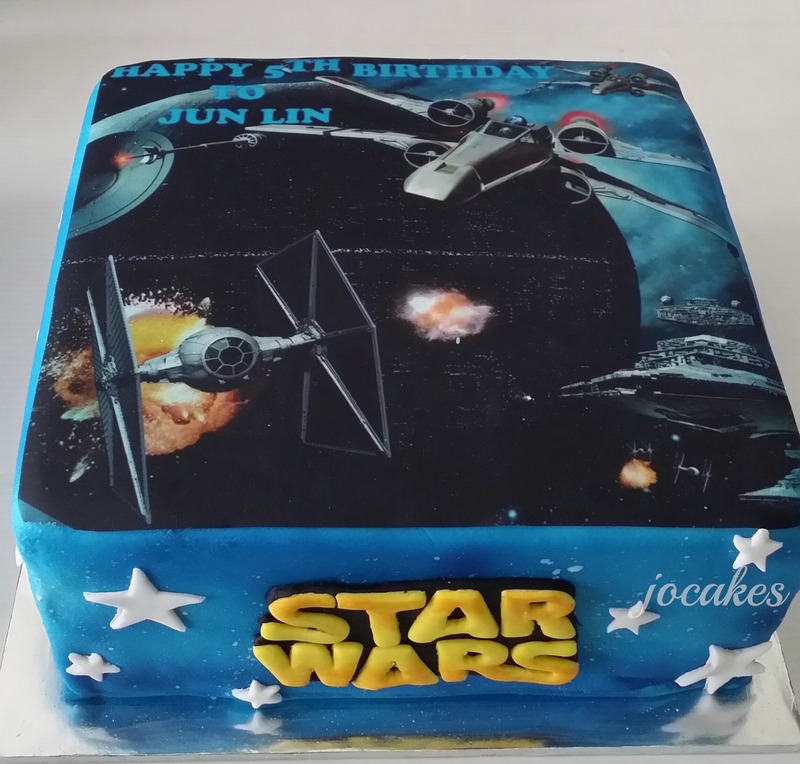 Star Wars edible image cake for 5 year old Jun Lin. 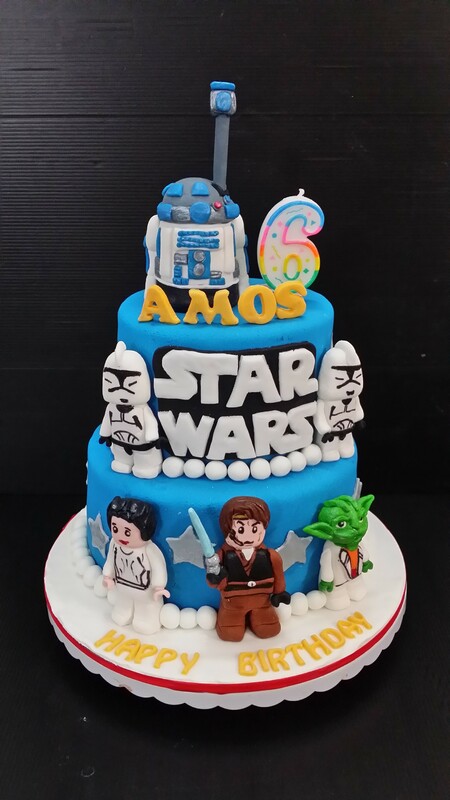 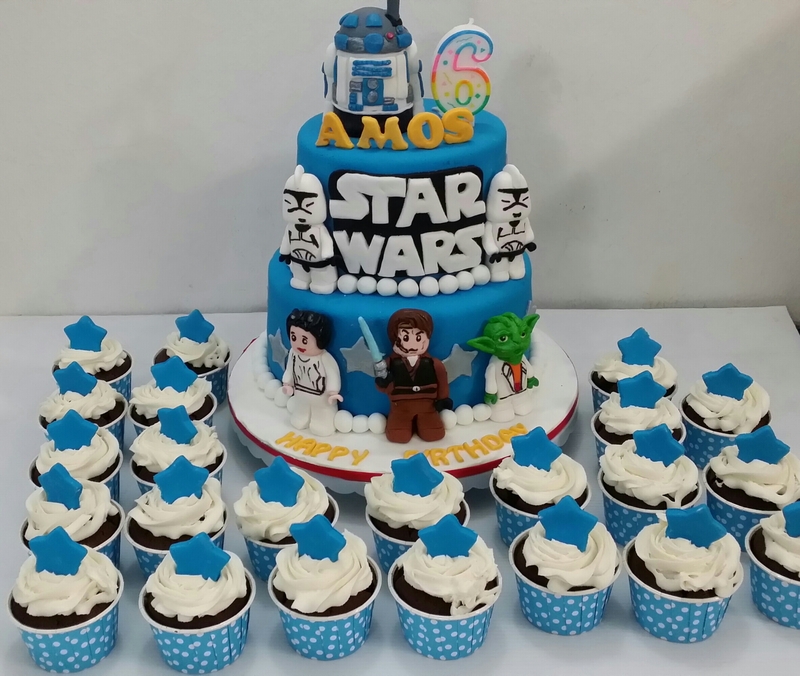 Star Wars cake, cupcakes and cookies for Amos 6th birthday.